Replies: 175 (Who? ), Viewed: 23059 times. Have you downloaded this world? If you have I'd love to hear what you've done with it. What have you been building? And who have you moved in there? Please share! Pics would be awesome too. I wasn't sure if I should tackle this project because I'm not really a builder, well, I'm not not a builder, I do like building and designing but I'm bad at roofs and stuff like that. But it turns out that most of the buildings are square blocks with flat roofs, so even nooby builders can make decent looking houses! I haven't done much yet. I put a church I downloaded from here on the corner of the street where the graveyard is, then I decided to move the graveyard along one so it's next to the church. I put wildflower and butterfly spawners in the graveyard. Now I'm left with the empty lot where the graveyard was. I'm not sure what to do with it yet. A community garden maybe? Or just houses? At the far end of that street I built a pub. It has apartments above, but obviously no one can actually live in them. 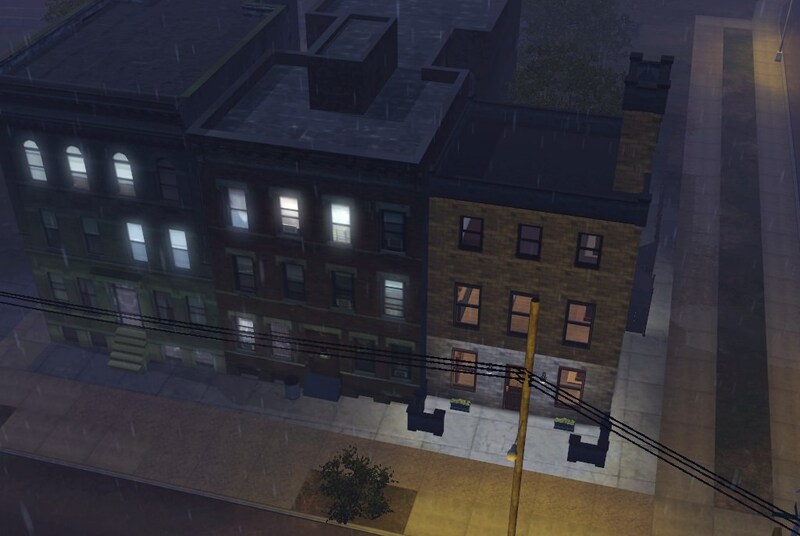 I've built two lots with houses on the remaining lots on the street, made to look like apartments. I could turn them into apartments but I hate playing with a blacked out area. Building huge buildings made to look like apartments means that the lots are expensive to buy, but it is a city so house prices are going to be high. I've only furnished one apartment in each building. 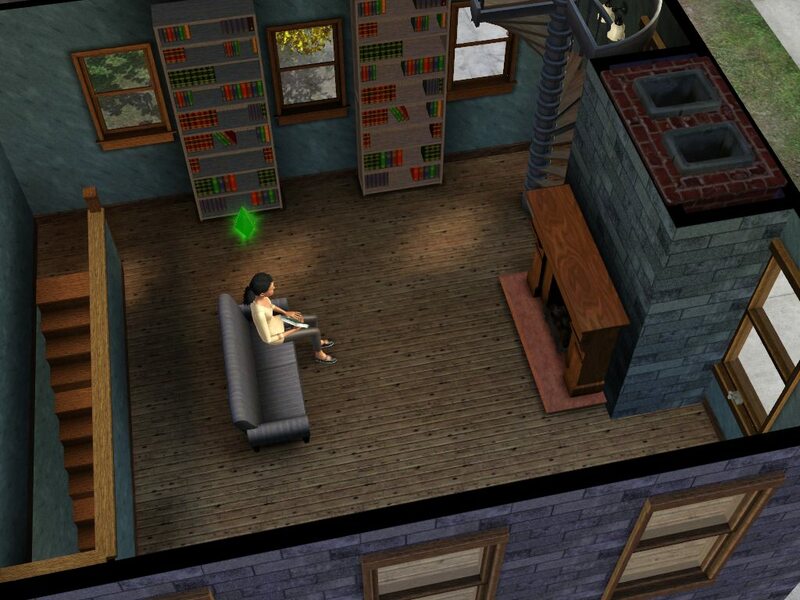 If I move a sim in and then get some roommates to move in, could I do something with the doors so that the roommates are able to live in the other apartments (obviously I'd have to furnish them first) and stay out of my sim's apartment? Would that work? Also, does anyone know, if you start playing without having converted the shells into habitable places, will the game move sims in there anyway? The poor sims would pretty much be homeless since there's nothing actually on the lots. Anyway, I'd love to hear what you've been up to in this awesome looking world! I'm probably going to put in a laundromat because I feel like it's a must in a big city and even I can handle that! 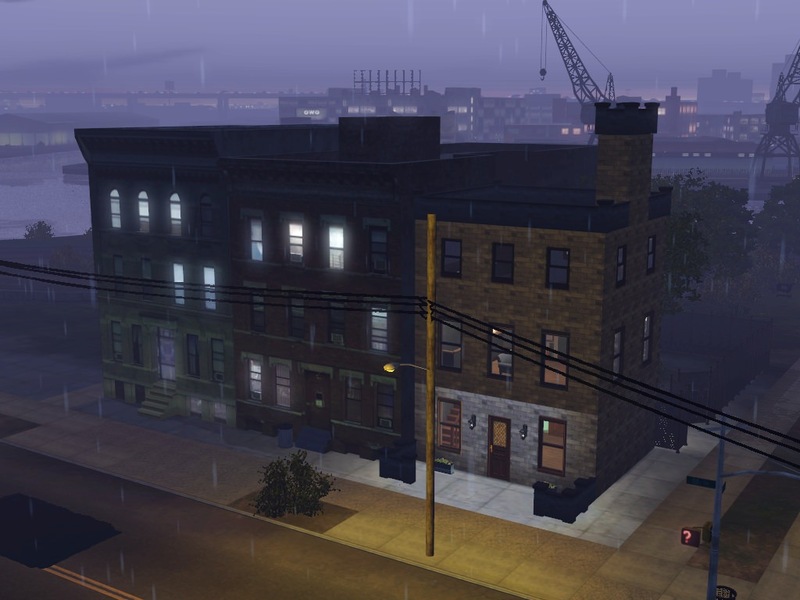 I'm also definitely going to gentrify the south waterfront because I want a nice neighborhood for my richer Sims (my games always have class-related struggles). I'm planning on probably downloading lots that look appropriate and fit for that, but we'll see. I am downloading that world now to take a look at it. I cant seem to get to the page to download it. Link? This is where I am now. Am not familiar with mega so think I may have duplicates downloading! Have about 4 more minutes to go before I see what I have. 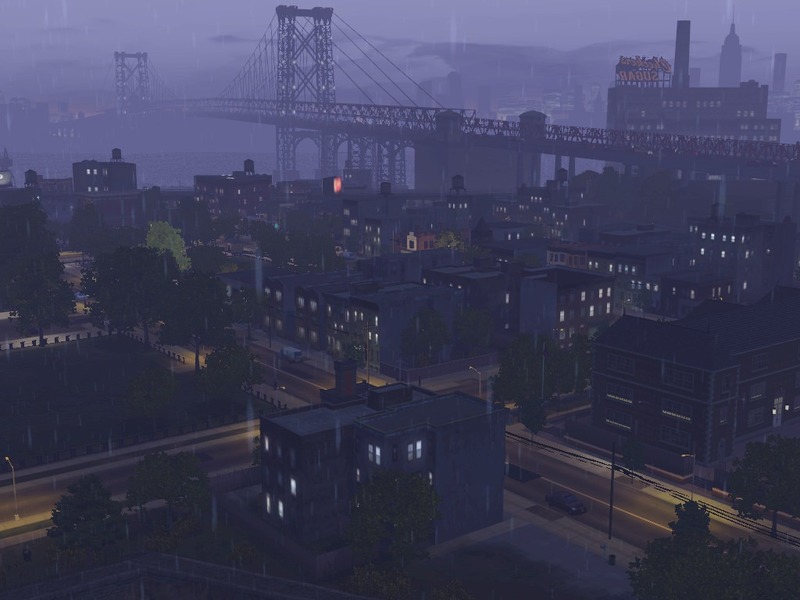 For the first question, you can try TS3 Aprtment Mod from here, at MTS, by @ani_. I like it quite a lot; it's completely updated, you can use it with any EP combination, and it's easy to understand. To your second question, as far as I know, yep, if you have a lot with something built, it will be prone to being occupied by the immigrant sims, as long as you don't have a mod that prevents them from appearing. If you want immigrants to stop from moving to your world, you can use NRAAS Register, but that's a bit difficult to use and you may need other accompanying mods. I took once glance and am deleting. I did not install the CC but it is not a world of any interest to me. Off! I actually like the pics! kind of Brooklyn-y. I will definetely play it!... whenever real life doesn't interfere, that is. In all fairness I did not install the CC or lots. I am not a fan of city worlds as much as smaller towns and it is totally flat and I like some hills and mountains. Hope you enjoy it. Yeah there's nothing to see without the CC. In fact I can't really imagine what it'd look like without the CC but it's probably nothing very interesting, no. All I can say is that I also took one glance, only my glance was an hour long and I don't have a single bad word to say about the brilliant visual qualities of the world. It's very pretty. I added the CC. It is very well done. Quite impressive. I liked seeing the elevated transit and the cars on the bridge. It is not something I want to work on, but it is good that it is available for those of you who want an urban world like this. There is great potential for those of you who have this interest. I felt the same way. It looks amazing, but it's not for me. It's everything I thought I wanted Bridgeport to be, but in the end I still find Bridgeport a more pleasing world despite the comparatively hideous vistas. To your second question, as far as I know, yep, if you have a lot with something built, it will be prone to being occupied by the immigrant sims, as long as you don't have a mod that prevents them from appearing. If you want immigrants to stop from moving to your world, you can use NRAAS Register, but that's a bit difficult to use and you may need other accompanying mods. NRaas Register is not difficult to use but it has a very limited focus. Its purview is the management of Role and Service Sims and it has nothing to do with resident immigration. Where Register talks about "immigration," it means the spawning of new NPC sims to staff Role slots like cash registers (hence the mod's name! ), bouncer ropes, LN bars, and Seasons festival booths rather than using already existing unemployed sims for those purposes. It's NRaas StoryProgression that governs resident immigration, where sims can ultimately end up living, and that admittedly comes with a learning curve. Also for the record, Ani retired from TS3 modding years ago and bequeathed her mods to us. 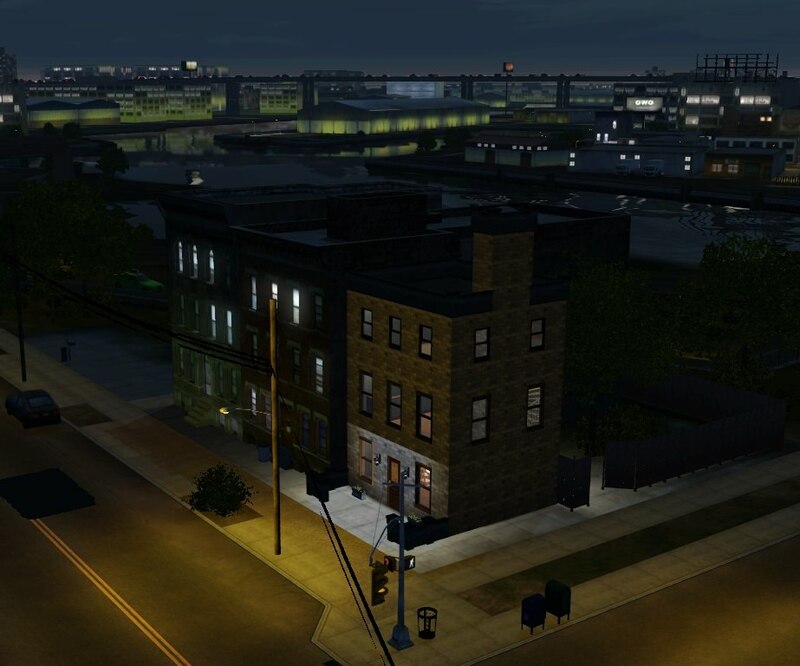 We haven't updated the Apartment Mod though (as we have some of the others) so I do believe that one is the same whether it's downloaded from MTS or NRaas. After spending 8 hrs trying to build a laundromat, I am officially giving up until this world is built up more. It was fun building, but I just am not patient or skilled enough for it. Still a really cool world though! #17 15th Oct 2018 at 5:11 PM Last edited by tizerist : 15th Oct 2018 at 5:45 PM. I felt the same way. It looks amazing, but it's not for me. It's everything I thought I wanted yBridgeport to be, but in the end I still find Bridgeport a more pleasing world despite the comparatively hideous vistas. > The cityscape sprawls on for miles into the distance. > It has a highway with constant traffic. That, is enough to sell me on it. It’s really pushing the envelope on what a sims hood can actually be. I love it personally and have some construction afoot to make it better. I added a warehouse (stolen from Rinn Fada) to the docks and it has factory workers. The two parks next to the river are now WIP apartments, echoing the buildings around it. The church, I deleted and I too have a big gap there. The best thing for that is just to build some basic Townhouses there. Perhaps a little restaurant also. They’re easy to make. I’m a lazy and basic builder but I’ll post pics of what I’ve changed up in a bit. Also: I have modified the CC so that all objects are available in Build/Buy or world editor. There’s a LOT of objects in that CC that the player has no access to. I’ll upload it soon. Like I said, looks amazing but that's about it. Yep, you're right. As I have both, I got them confused! Thanks for the clarification! #20 15th Oct 2018 at 10:35 PM Last edited by daisylee : 15th Oct 2018 at 10:59 PM. That was my overall thought also. But as said, this theme is not of interest to me other than a look see. One thing I did note though was there did not seem to be that many places to build unless we bulldoze. And unless I did something wrong, all the residential lots I looked at were just for show (fill in) and not places where sims could live. So I wondered about how well the nonplayable sims would fill up the town? I like it when the houses fill up in my worlds with story progression. I think it is very interesting to look at, but was not sure how well it actually would play? Where are the underground trains? I did not see them. I will go and look around a bit more. edit: found an underground subway station. I may play this just long enough to see what looks like in winter. I think the idea is that you replace the unlivable shells with housing of your own. There will be a fully built out version of the world released later on, but for now, the heavy lifting has already been done in the creation of the backdrop and decorative items (things most players usually cannot do on their own). #23 16th Oct 2018 at 12:17 AM Last edited by daisylee : 16th Oct 2018 at 12:36 AM. I played a bit. 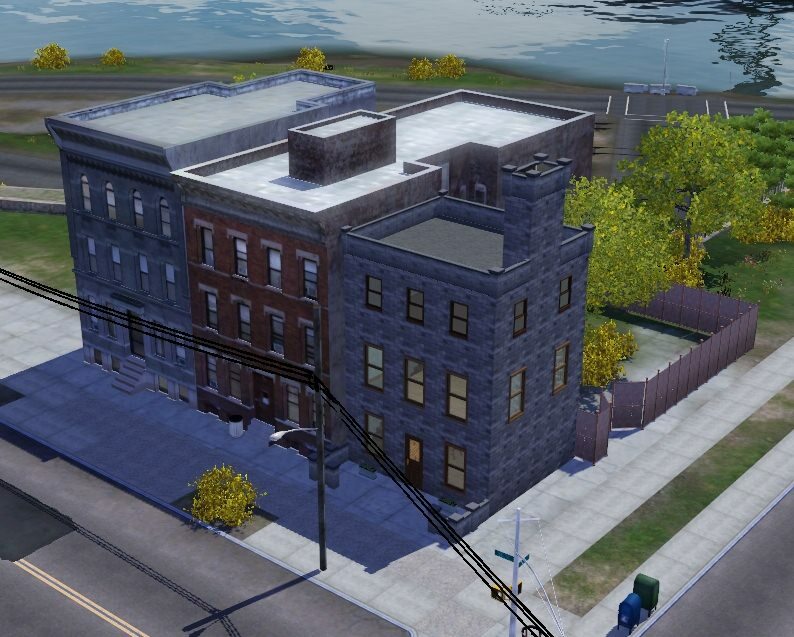 I was able to add a small grungy townhouse to one of the lots for my sim to live in. It needs a lot of work still. Added a place in the fenced area for her to have a cycle. It hailed the first night. I like that the fake buildings are lit at night. The whole town looked kind of spooky, dreary, cool at night in the rain and hail. Will upload a few pics. I am liking this more as I play a bit. Noisy, but it is a big city. Yeah, I think I'm going to give it another whirl and build it up to the point where I can play my next planned storyline there. There are a lot of really cool things about it!